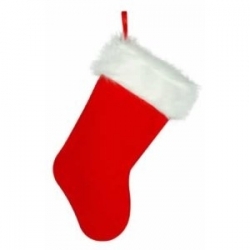 Stocking Stuffers for the Cyclists | Home of the Crofton Bike Doctor Blog! Sometimes buying presents for a cyclist by a non cyclist can be a little bit overwhelming. Here is a list of consumables that almost every cyclist can use. These are reasonably priced, making great stocking stuffers or gifts. 1.) Tubes – Less than $10 you will need to know the tire size and valve type. Hint: Take a picture of the bike and bring it to the shop and we will be happy to help you. 2.) Tire Levers – About $4 and these always seem to go missing. Tire levers are used to remove the tire from the rim without damaging either. 3.) Tube Patch Kits – A few dollars. The glue in patch kits often dry up and you can never have too many patch kits. One of our personal favorites is the Park Patch Kit. 4.) Nutrition Products – Gels, bars, waffles, drink mixes. These are generally less them two dollars each. Proper nutrition while riding can make all the difference for the cyclist. Mix and match flavors creating a “sampler pack” for the cyclist. Want to take it up a notch? Add a water bottle, load the products inside, add a bow and you are ready to go. 5.) Rear Lights – There are lots of great rear flashing lights starting at $15. Great for low light days to help the cyclist be seen by other more easily. These lights can also be bought in combo packs with headlights for greater savings. 6.) CO2 Inflation Cartridges – About $4 a piece. Cartridges are a quick and easy way for the cyclist to re inflate their tire to the proper pressure with ease. Systems with the inflation heads start at around $20. 7.) Gloves – Starting about $20 a pair. Gloves always go missing, wear out or begin to smell. Gloves not only offer comfort while riding but protection in case of a fall. 8.) Water Bottles – Starting at $5 and a little bit more for an insulated bottle. Bottles like socks seem to disappear. Now available are several different types of insulated bottles that will keep the contents colder longer on hot days.